Jake Oakhurst, left, plant and route manager at Phoenix Recycling, and employee Carlos Gallegos sort single-stream recycling Thursday at the processing facility southeast of Durango. With fewer places to send recyclables, new businesses are forming to process and repurpose refuse. 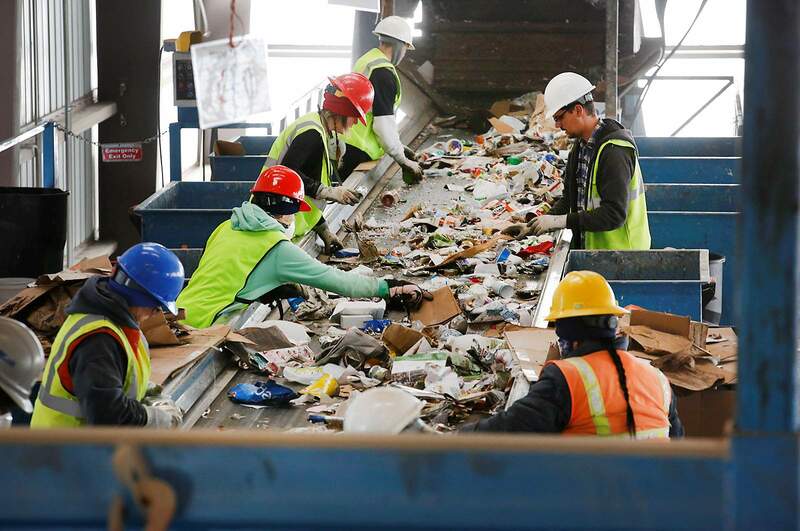 Southwest Coloradans are developing new businesses that could accept organic materials and recyclable glass as part of a statewide effort to divert more waste from landfills. Across Colorado, $265 million in recyclable material is thrown away each year, according to a 2018 report from Eco-Cycle, a nonprofit recycler and Colorado Public Interest Research Group. The number is based on how much money could be saved on energy, processing and materials if recyclables such as aluminum and plastics were used to produce products instead of virgin materials, said Eric Heyboer, recycling grant program administrator for the state health department. “The opportunity is really incredible from an economic perspective,” he said. The state launched a new grant program called NextCycle late last year to develop businesses that can use the tons of recyclables that otherwise go to landfills to help create new jobs and cut carbon emissions created by the waste. The grants provide $5,000 and technical expertise to develop ideas. Once the grant period ends in June, businesses can apply for additional state funding. 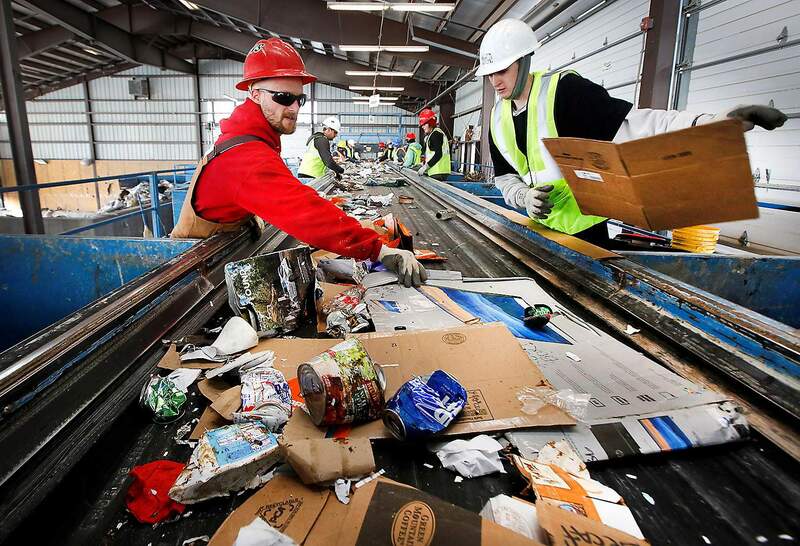 Workers hand-sort single-stream recycling at the Phoenix Recycling facility Thursday. With fewer places to send recyclables, new businesses are forming to process and repurpose refuse. New markets need to be developed for recyclables because China adopted tougher standards that require higher quality and better sorted materials such as paper, plastic and metal, Heyboer said. The standards left North American recyclers with fewer options to send materials, driving down commodity prices and putting financial pressure on companies and cities that collect and sell recyclables. Last month, the state accepted nine proposals into the first cycle of its grant program, including proposals to manufacture plastics into new products, an idea to refurbish solar panels, and a plan to convert hemp and marijuana waste stalk and stems into fiber. A newly formed group of local entrepreneurs called San Juan Organics received one of the grants to explore scaling up composting in the region. Southwest Colorado Council of Governments, another Southwest Colorado group, plans to apply for a larger state grant to explore a facility that could make glass into an aggregate, such as sand. 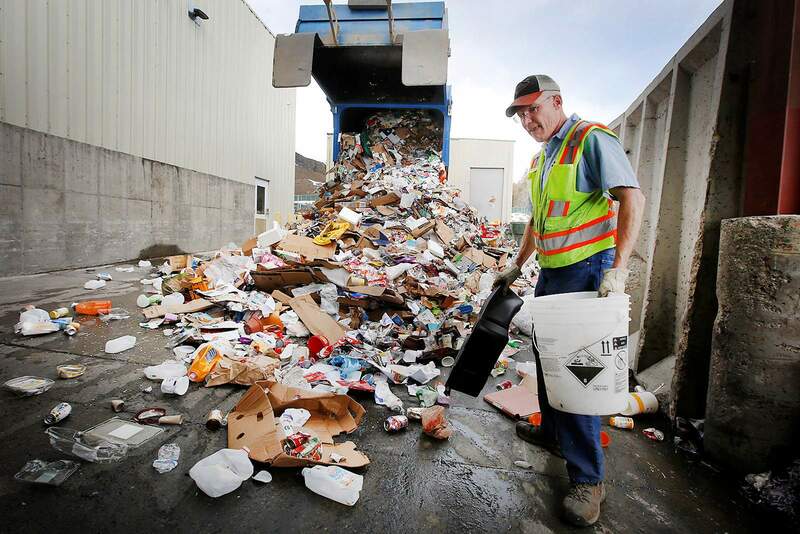 Southwest Colorado businesses and governments that collect recyclables are already in need of new buyers because of China’s standards, officials and owners said. Paul Forshey with the Durango Recycling Center removes items that are not recyclable from materials collected from residential cans in Durango. “Their contamination threshold is such that you pretty much can’t meet it,” said Levi Lloyd, city operations director. The city of Durango had to increase its prices for recycling collection, and last year, levied a $2.69-per-month surcharge on recycling because of the industry upheaval. In April, the city also stopped accepting recyclables from private waste haulers in the region, in part, because it was receiving loads contaminated with trash, Lloyd said. Phoenix Recycling in La Plata County doubled the amount of material it could accept after the city stopped accepting recyclables from private haulers, owner Mark Thompson said. But his business has also been challenged by low prices. “It’s unbelievable that the markets have not yet recovered,” he said. Pheonix Recycling is working with the Southwest Colorado Council of Governments to apply for a state grant to explore the feasibility of a facility that could process glass into materials that could be used by local governments in building projects, such as laying utility lines, said Miriam Gillow-Wiles, executive director of the council. Paul Forshey with the Durango Recycling Center removes plastic bags and Styrofoam that are not recyclable. With fewer places to send recyclables, new businesses are forming to process and repurpose refuse. 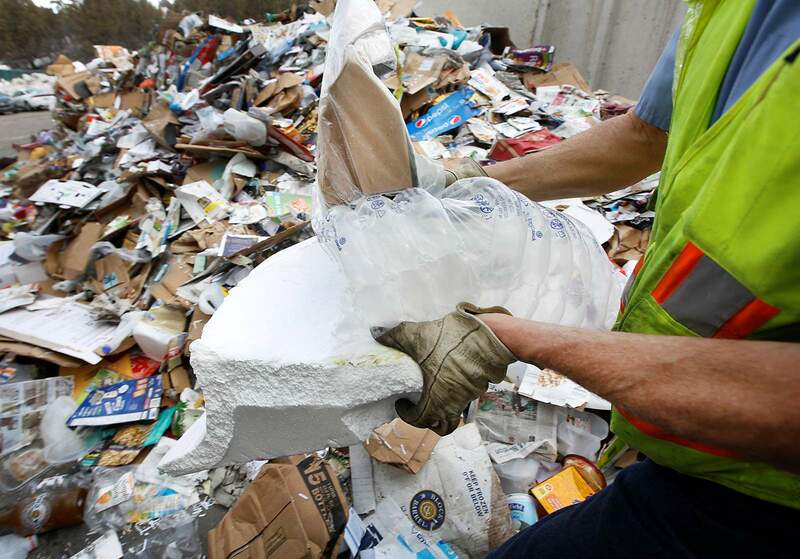 Diverting organic materials from the landfills, such as glass clippings and table scraps, is also a focus for the state because it accounts for 38 percent of the waste stream and produces methane, a potent greenhouse gas, Heyboer said. San Juan Organics is using its state grant to explore how to use organic waste to create fertilizer that could be sold to commercial and residential gardeners, said Monique DiGiorgio, owner of Table to Farm Compost. Her company collects table scraps for a fee and gives customers compost in return. She is working with Tim Wheeler, owner of Durango Compost Co., and Holly Shure, an entrepreneur, on the idea. The composting would convert waste into a nitrogen-rich soil amendment, materials that otherwise must be imported, she said. “It just makes too much sense to not do it,” she said.